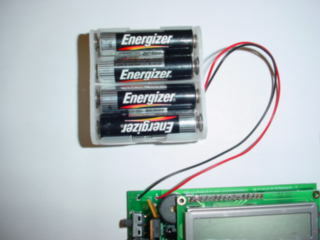 MIT Handyboard ( latest version is v1.2.1 ) and Serial/Battery charger boards with ALL components. DB9 or DB25 or DIN5 serial downloading cable (please specify). This is to connect your Serial/Charger board to PC serial port (either DB9 or DB25 or DIN5) . For example: Your mouse may connect to DB9 of your PC serial port. Freeware Interactive-C (available in many platforms) with Handyboard Expansion Board software library on CD. FREE IC is released . Get it from http://www.kipr.org/ic/download/ . Development work was sponsored by the KISS Institute For Practical Robotics, a non-profit educational organization. IC Version is free to use. IC library is assumed to be used with HB Expansion board . Nuts and screws, spaces, and 2 photo-resistor sensors for the experiment. *NOTE: All our Handyboard now comes with 4 High Current (1.1Amp) Bi-Directional Motor driver chip. Note: By default, the kit doesn't include DC adapter, NiCd batteries, and plastic enclosure due to the shipping weight and different country electrical regulations. Here are the reasons of why . If you want to have these extra accessories, you can order HB-EXTRAS with this kit. Q1: DB9 or DB25 or Mac DIN5 serial downloading cable Selection? This is to connect your Serial/Charger board to PC serial port (either DB9 or DB25 or Mac DIN5) . Please specify the connection type when ordering. FOR EXAMPLE: Your mouse may connect to DB9 of your PC serial port. Q2: I have a notebook without any serial port. How can I connect Handyboard? We have a USB version Handyboard which can interface with your USB port. Q3: DIN5 is no longer available in most Mac machine. Can I still use it to program Handyboard? We have a USB version Handyboard as long as your Mac machine has USB port.